I met Nicusor Cazan, another fellow wine blogger from Bucharest, last night to taste two Romanian wines from Vinarte. 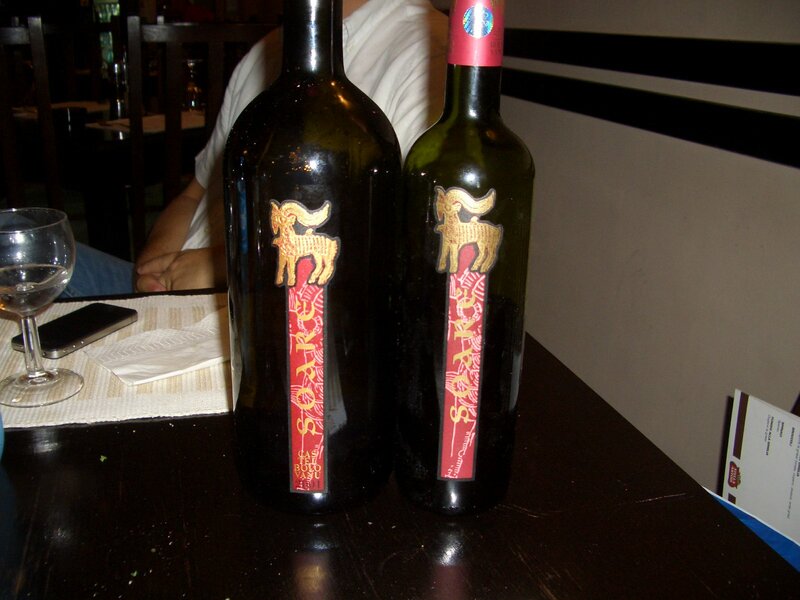 We gathered just in time for dinner at Trattoria Roma near Opera Center, and did an academical exercise by having a small vertical of Vinarte’s flagship wine: Castel Soare from two vintages. I am always curios to taste an older Romanian wine. We had a Magnum of 2001 vintage and a regular bottle of 2005 vintage. 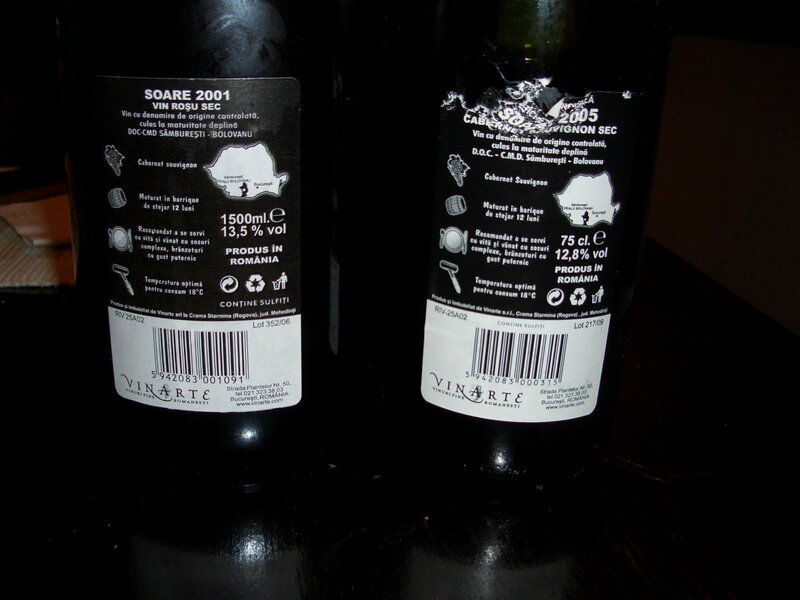 Both wines, as printed on the back label, are 100% Cabernet Sauvignon aged for 12 months in oak barrels. I previously tasted the 2004 version of this wine here. As a conclusion: both wines show a good oak integration and the alcohol is well balanced. The 2001 is surprisingly youthful, and developed into a really interesting wine that can evolve even further. 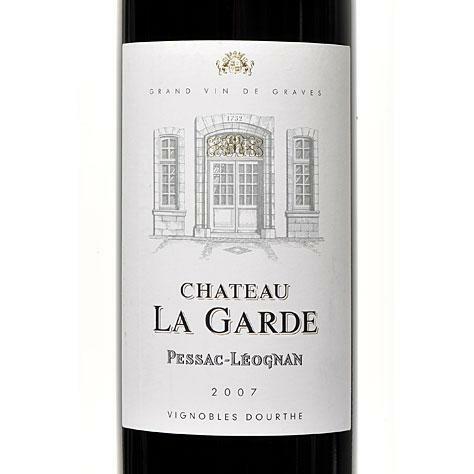 The tannins are still firm, but they are not aggressive and give this wine a good freshness. 2005 does not seem to posses the same texture to develop similarly in time as its older brother. For me, Soare 2001 in Magnum is not only a very interesting wine, but is a wine I will buy to keep in my cellar and see how it evolves over the next 3-5 years. 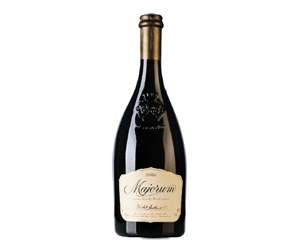 Magnums of 2001 are available at Metro and at the winery for around 160-170 RON. 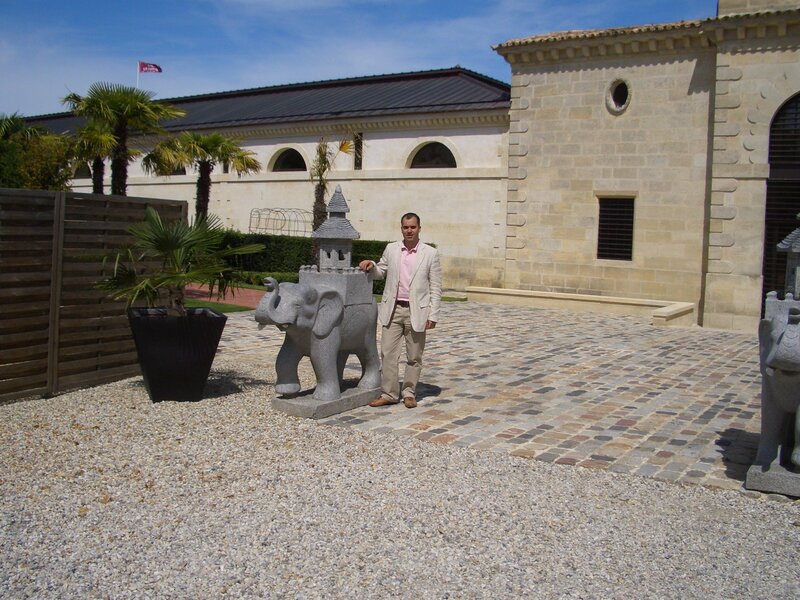 My last visit to a winery in Bordeaux was at Chateau Cos d’Estournel in Saint-Estephe on June 24th for 15:30. I missed the correct route leaving from Pontet Canet in Pauillac to St-Estephe, so I arrived at Cos 15 minutes later than scheduled. The guide gave me a quicker than normal tour of the property as the next group – a group of Chinese as I discovered later on – scheduled for 16:00 was about to arrive. However, there was no rush on tasting the wines. 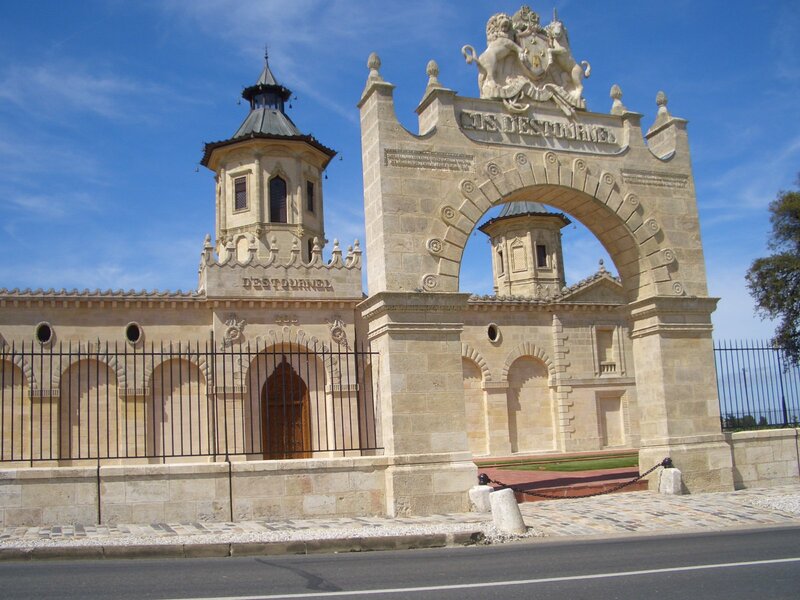 Cos d’Estournel took its modern form after 1811, when Louis d’Estournel developed the estate and expanded its vineyards. 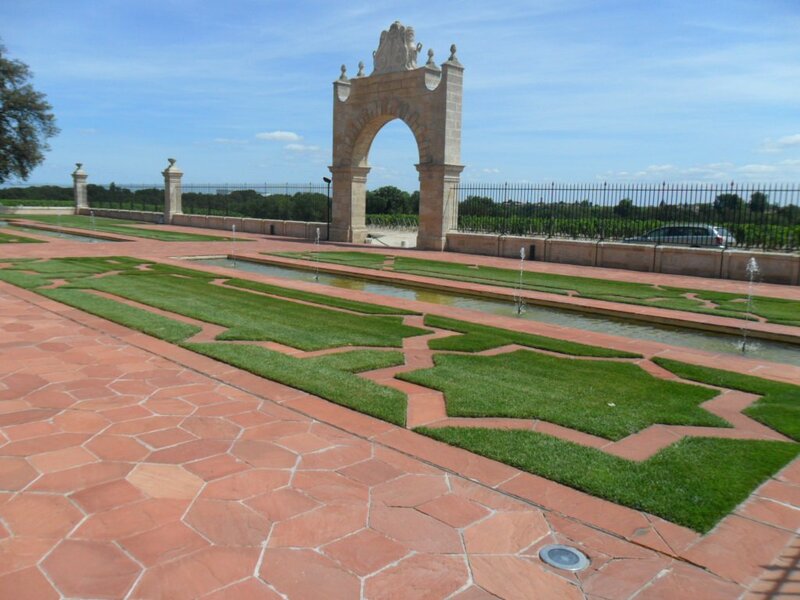 The design of the winery was built to remind him of the time he had spent as a trader in the Far East. In 1852 the property was sold to English bankers, who continued to invest in the estate. 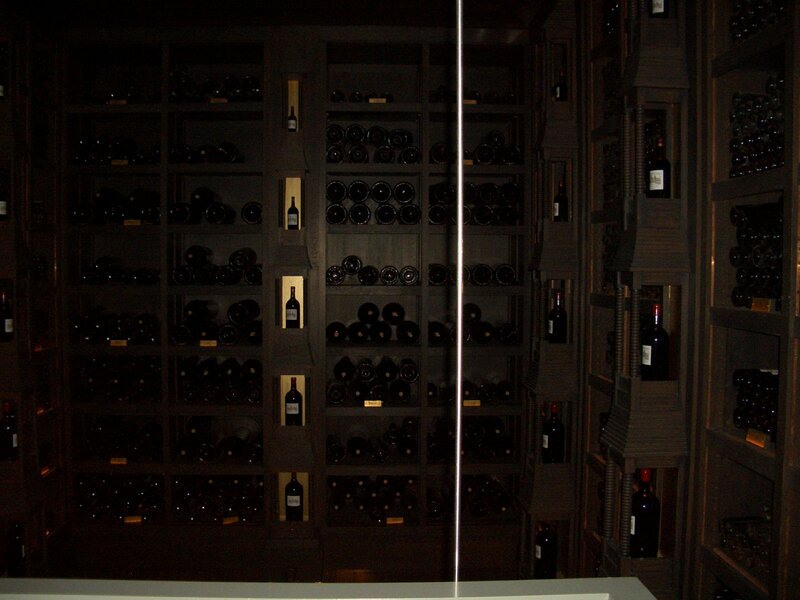 At this time the wine sold for prices higher than almost all Second Growths. In 1889 the Charmolue family, which would also acquire Montrose a few years later, bought Cos, before selling it in 1917 to Fernand Ginestet. His daughter Arlette married into the Prats family, which is how, in 1971 , it came into the hands of Bruno Prats. In 1998 Prats sold Cos to the Taillan group(owners of Gruaud Larose and many other properties) and some Argentinian investors. In 2000 the property was sold to Michel Reybier, a French food manufacturer. After the departure of Bruno Prats his son, Jean-Guillaume, stayed on as a general manager of the domain. 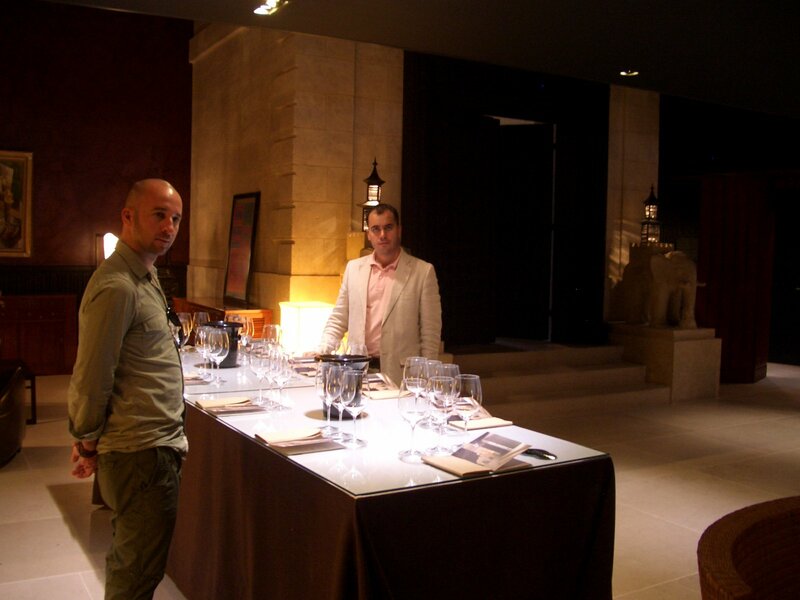 Since 2004 the technical director has been Dominique Arangoits, who in his time has made wine in Tokaj. 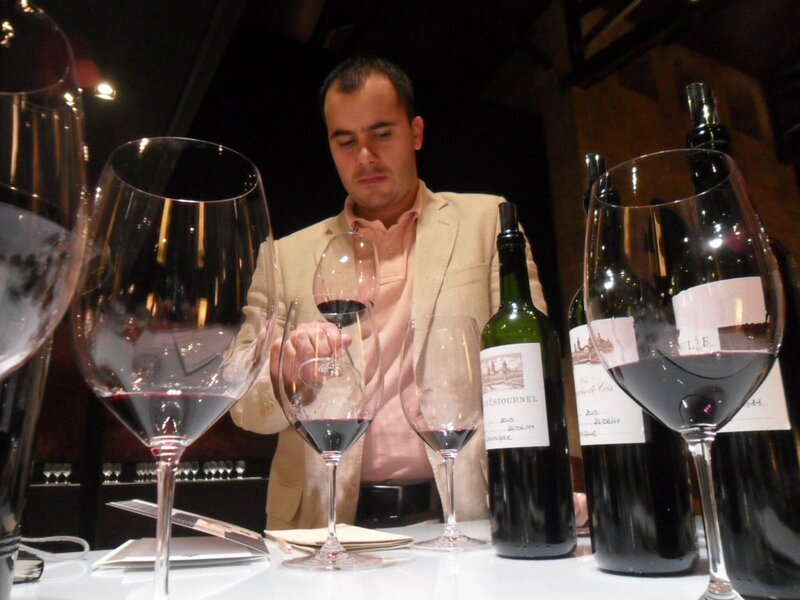 Currently Bruno Prats has wineries and produces wines in Spain in Priorat(was one of the pioneers of Priorat), Portugal, South Africa and other countries. 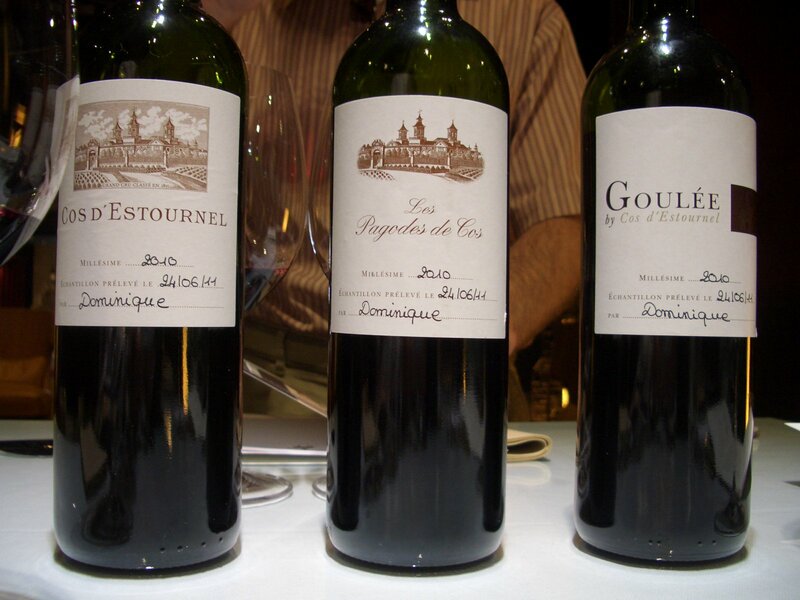 Some would argue that Cos d’Estournel is closer in style to Pauillac than St-Estephe. 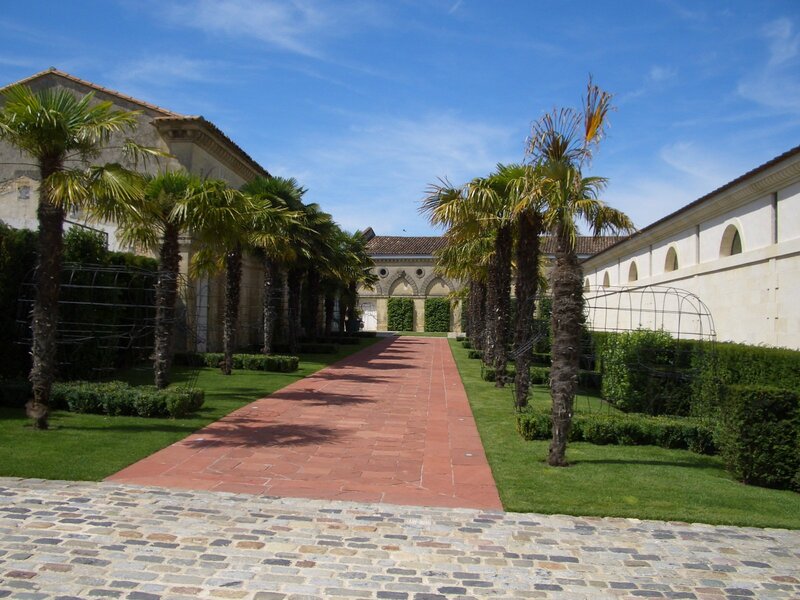 It is certainly true that the vineyards share a long boundary with Chateau Lafite. The soil is very gravelly and there is less clay than at most St-Estephe properties. The drainage is excellent and it is the sand mixed in with the gravel that helps retain water to keep hydric stress at bay in hot summers. There is also a high proportion of Merlot planted, which is not the case at most Pauillac properties. The vineyards hug the chateau, except for a parcel belonging to its neighbor Cos-Labory. Cabernet Sauvignon is planted on higher ground, Merlot lower down. 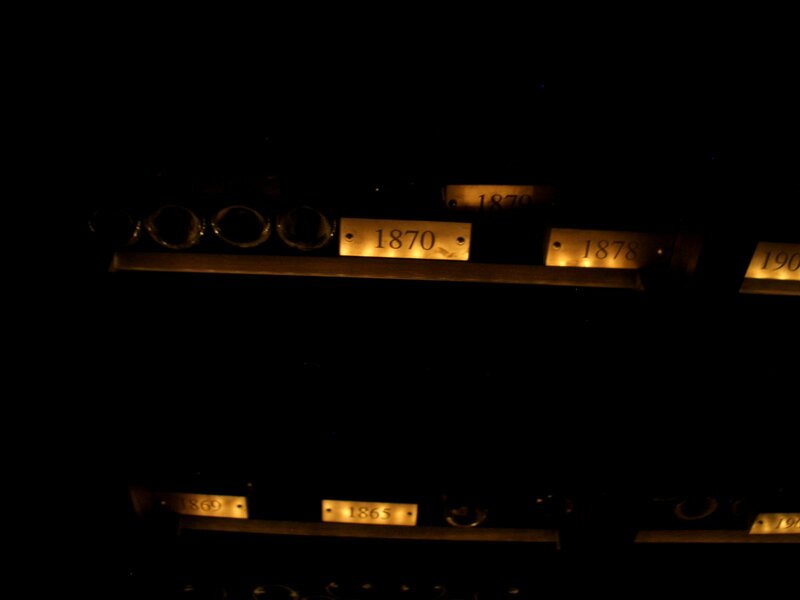 The average age of the vines is 35 years old, while some parcels are over 70 years old. Yields range around 40-45 hl/ha. There are 64 ha under vines and the grapes are 58% Cabernet Sauvignon, 38% Merlot, 2% Petit Verdot and 2% Cabernet Franc. 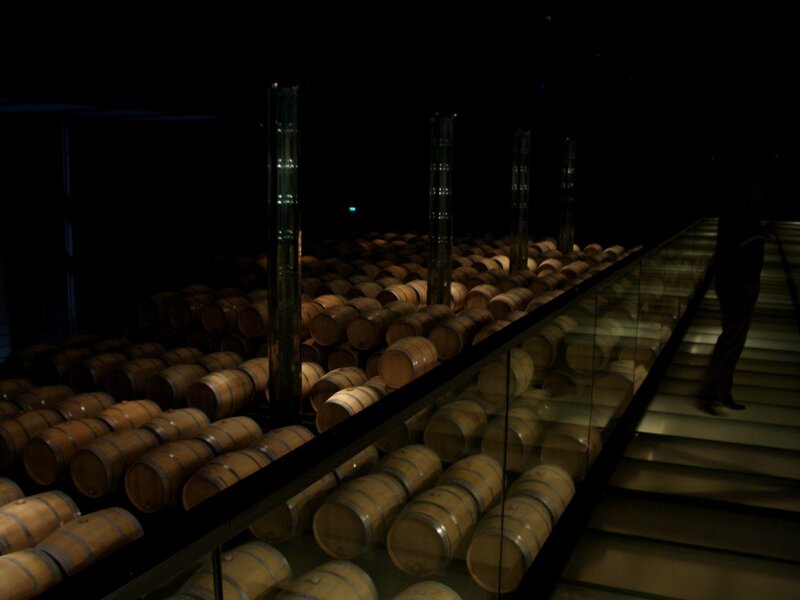 The wine is aged for 18 months in new French oak, the proportion of new oak varies considerably depending on the vintage. Cos is fined in the barrel, but is no longer filtered before bottling. 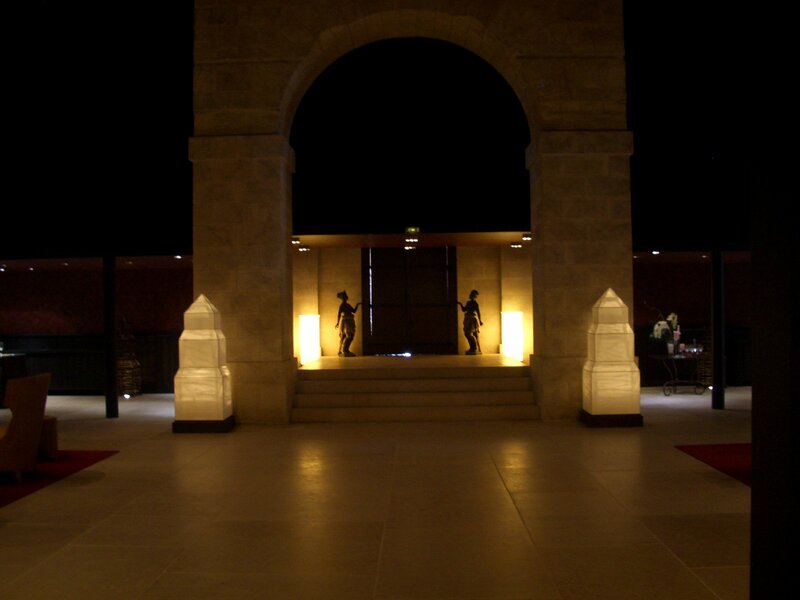 The winery and cellar of Cos d’Estournel are breathtakingly beautiful. 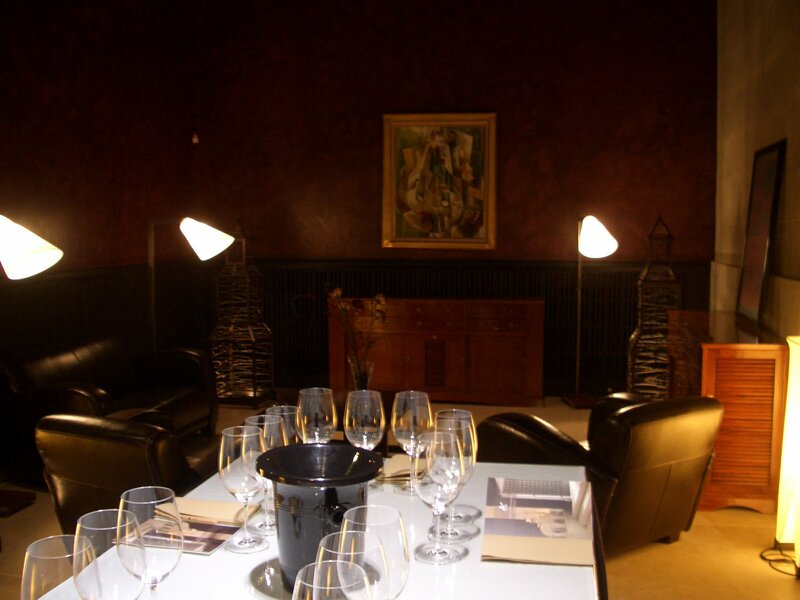 The owners recently invested about Eur 30 Millions in state of the art technology and rebuilt the winery. 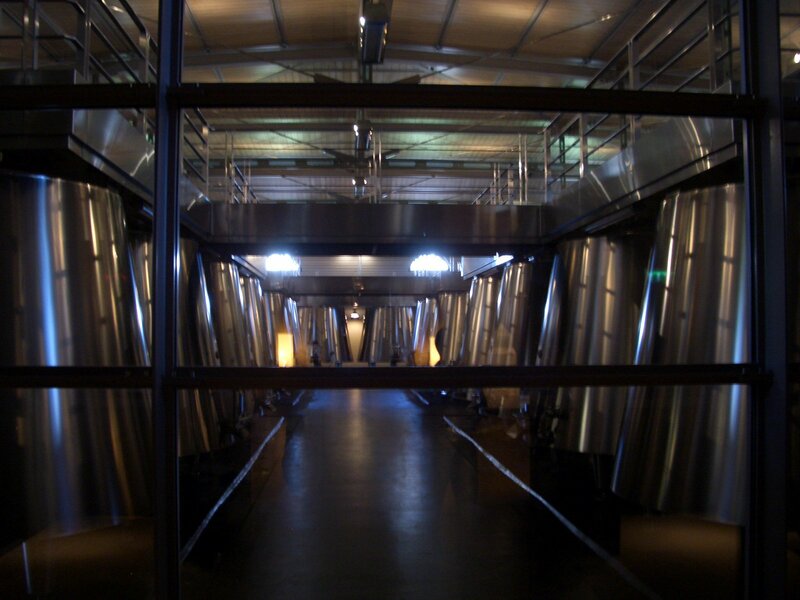 They added custom made temperature controlled stainless-steel vats in an attempt to vinify separately as many parcels as possible for a better control of the final blend, a barrel aging room with a cat-walk like bridge that goes on top of the oak barrels and leads to the wine library containing older vintages of Cos – some of the oldest are from early 1800, and a tasting room with clear Indian influences that can compete with any smart fusion lounge in the world. After the tour of the winery, we returned back to the tasting room where I had the chance to taste three of their wines: 2010 Chateau Cos d’estournel, 2010 Pagodes de Cos – Cos second wine, and 2010 Goulee by Cos d’Estournel – a northern Medoc made wine. Blend of 80% Cabernet Sauvignon and 20% Merlot. Average yield for the vintage: 30 hl/ha. 13.74% alcohol. Blend of 62% Cabernet Sauvignon and 38% Merlot. 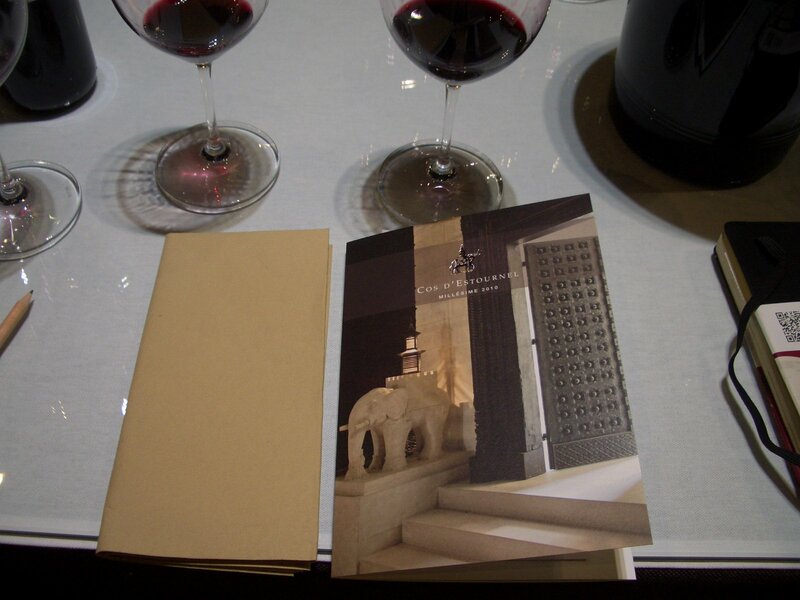 Proportion of first and second wine: 55% Cos d’Estournel and 45% Pagodes de Cos. Average yield for the vintage: 38 hl/ha. 14.13% alc. I have to say that of all the wineries I have seen in Bordeaux during my 3 days trip, Cos was the most impressive. 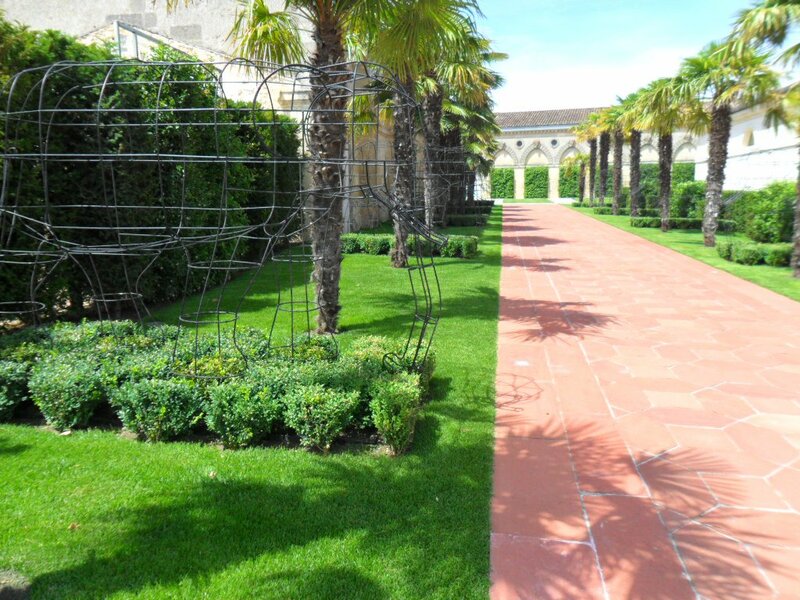 This was my last trip to a domain for FRI, after making a marathon from one Chateau to another, from Saint Julien to Pauillac and then St-Estephe, visiting and tasting the wines. This was overall an unexpectedly rewarding trip for me and I am certainly looking forward to return to Bordeaux as soon as possible. It is always fun to visit friends that you have not met for a while, as the joy of seeing and spending quality time with them is priceless. We spent great moments last night, meeting our Greek friends after not seeing them for more than a couple of months. 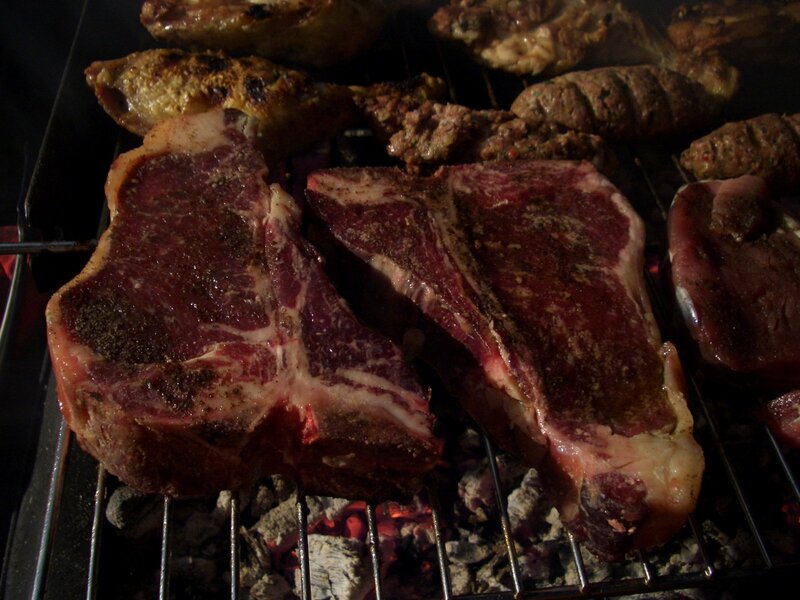 The weather was lovely outside as the high temperatures from last week took a break, so we just sat in their garden and enjoyed a lovely summer night with an old fashioned barbeque. We started serving the appetizers with a charming white Italian frizzante. It is hard not to like this wine on a summer day next to black and red fish eggs on a bed of bread with butter. As our hosts started to prepare the barbecue, I took the initiative and opened the first bottle of red wine. 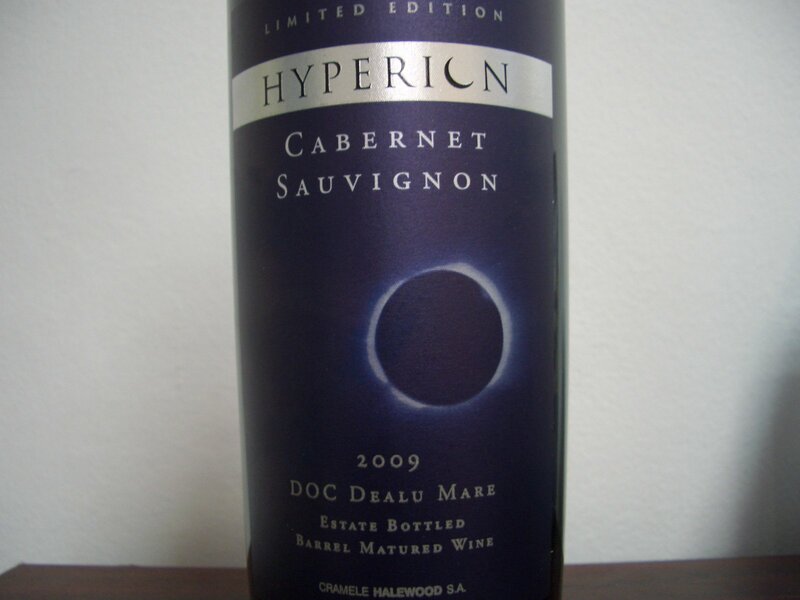 I long wanted to open a bottle of 2009 Hyperion Cabernet Sauvignon and taste the wine knowing that 2009 was a good vintage in Dealu Mare. I received a bottle as a free sample from the producer a few weeks ago, so I decided to open it and share the experience with our friends. A full review of this wine is here. 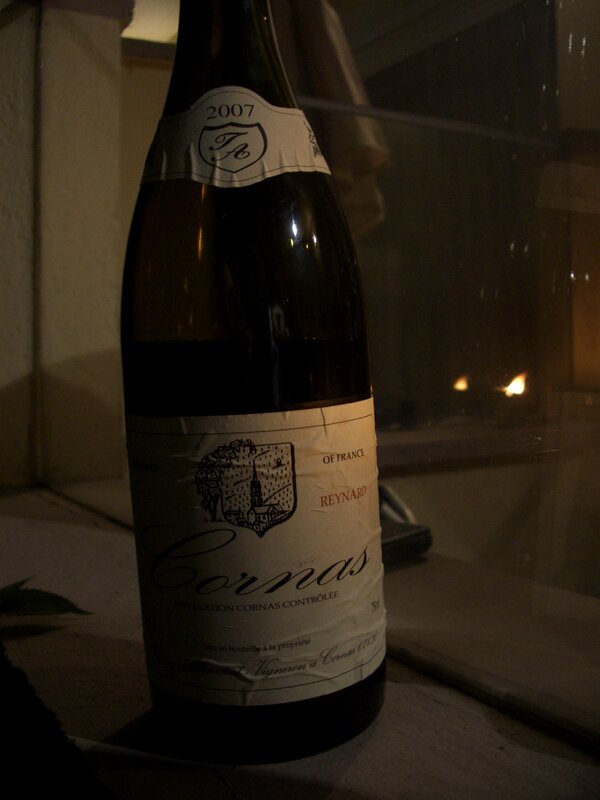 The wine of the night for me was, unquestionably, a Syrah from one of the most acclaimed Northern Rhone appellations: Cornas. I had two more encounters with the wines of this producer in the past, both coming from the 2006 vintage: Chaillot and Reynard. 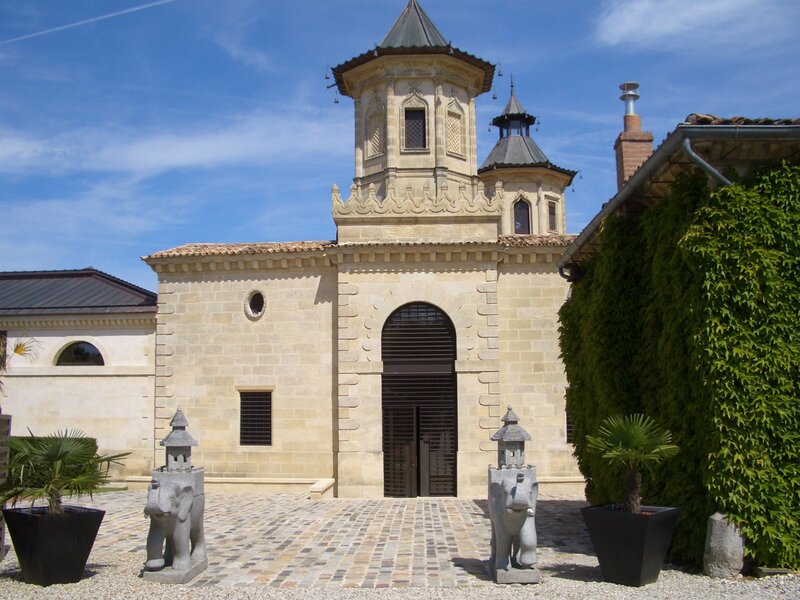 2007 was a better vintage in the Northern Rhone, the wines having all the attributes to develop and last 18+ years. A 100% Syrah from 40+ years old vines with superb freshness and very easy to drink. 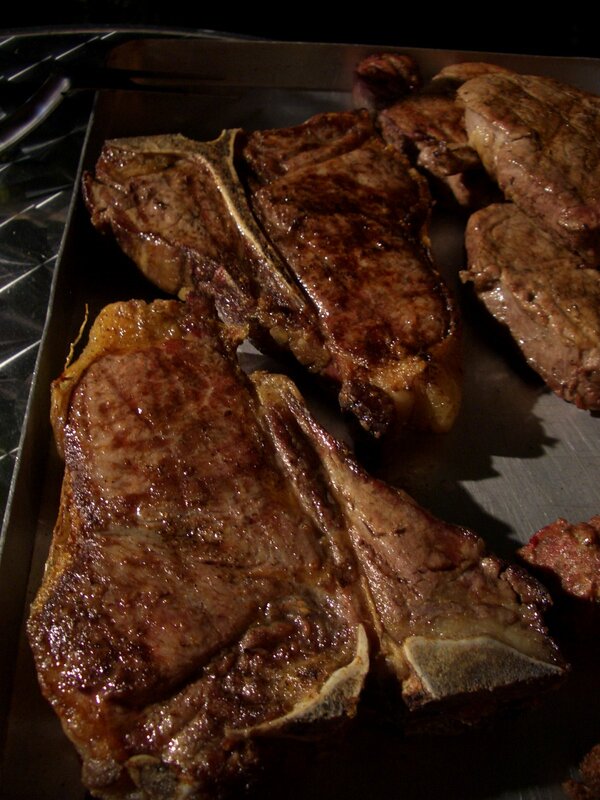 The wine was served next to an aged medium-rare T-Bone steak, grilled on the barbecue. I honestly cannot think of a better pairing for this wine, as the wine is mirroring the meat flavors. Another top notch dinner prepared by Christiana and quality moments spent with our Greek friends. Life is terrible. 100% Cabernet Sauvignon aged for 12 months in American oak. 2009 is considered a great vintage in Romania. At this stage, I find no Cab typicality on the nose, as a matter of fact it seems more of a generic nose to me, and the oak still has to blend in. The wine tastes better than it smells, but the finish is a bit aggressive. Tasted by the glass at the wine-bar. 100% Sauvignon Blanc from Pouilly Fume. It is recommendable to drink this wine a touch warmer than too cold as it enables to reveal more complex aromas. 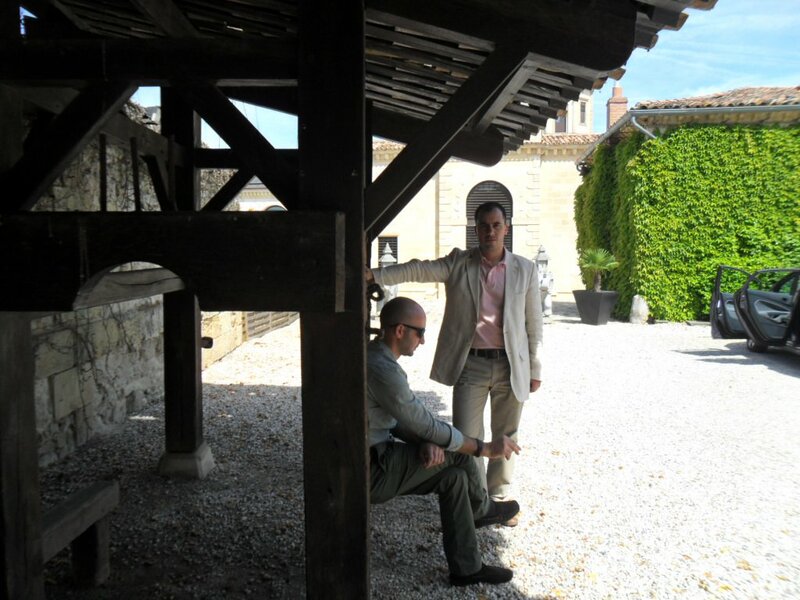 A property that belongs to Bordeaux negociant Dourthe and a wine coming from 2007 – quite a modest vintage for Bordeaux. A predominantly Merlot based wine. This wine is drinking very well now. I had this wine by the glass at the new wine-bar opened by Le Manoir just near the Hilton Hotel in Bucharest. The smoke flavors are really interesting in this wine.